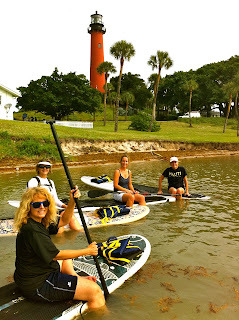 Four girlfriends and lots of fun! Paddleboard Excursions took Betsy and her friends on a stand up paddleboard adventure after a few instructions and a little learning curve. 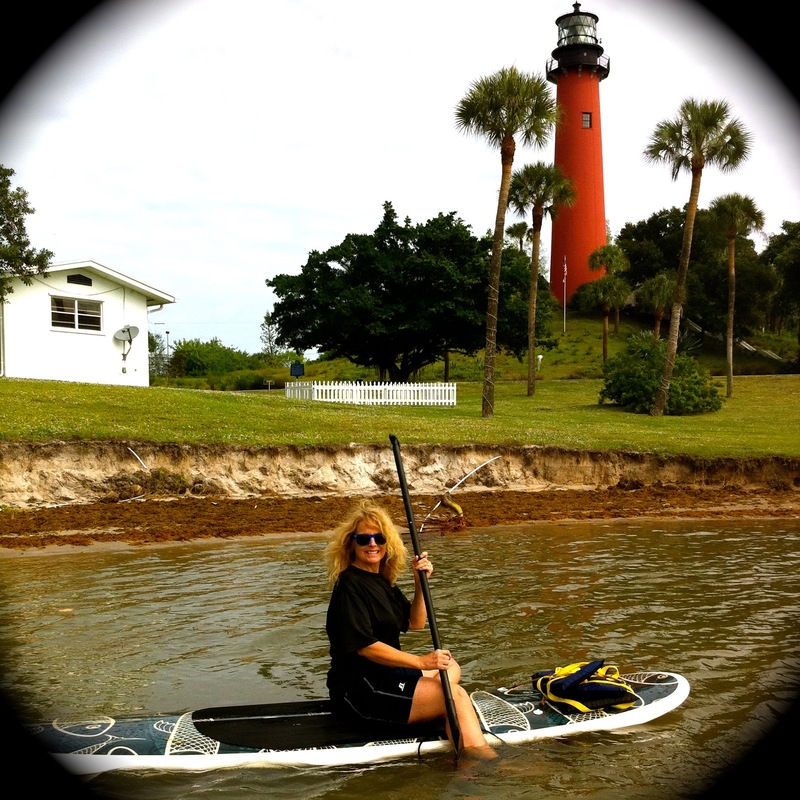 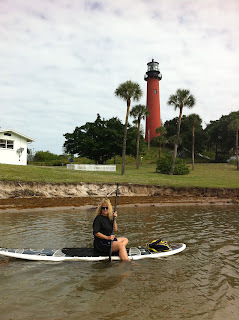 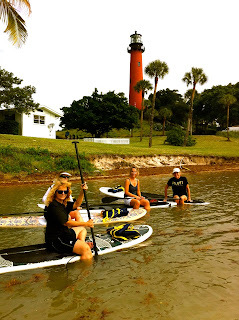 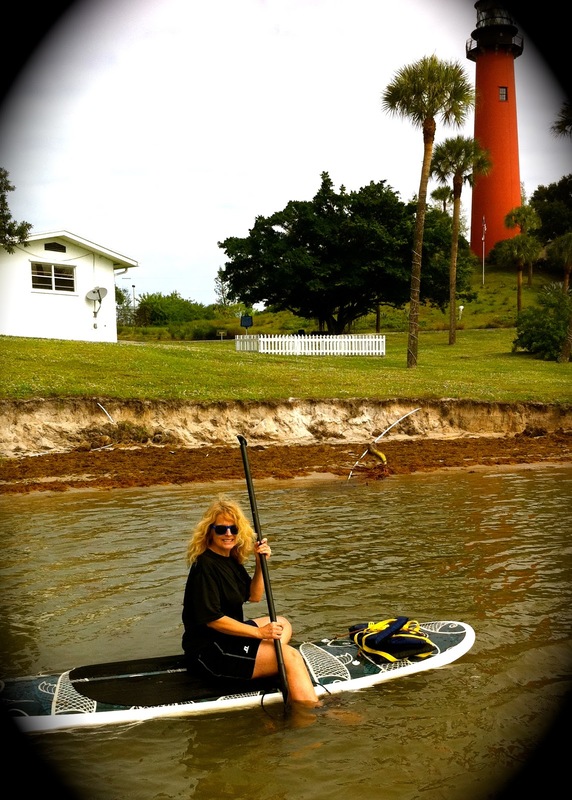 Starting from Coral Cove park on Jupiter Island the girls threw their inhibitions aside and off we went! 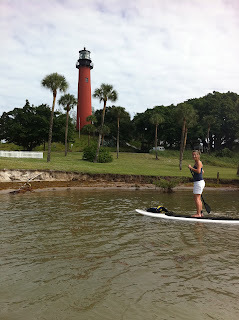 Yes, Betsy did fall off her paddleboard once...but hey she was the most adventuresome and the one who stayed standing on her board the longest. 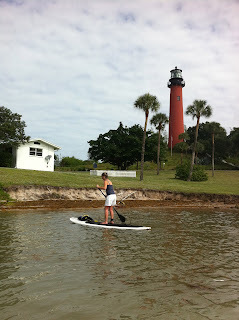 She was connected by a leash on her foot to the board so no big deal! 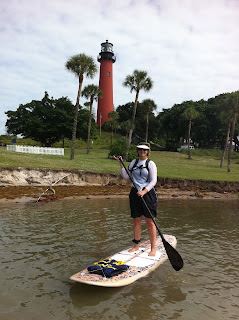 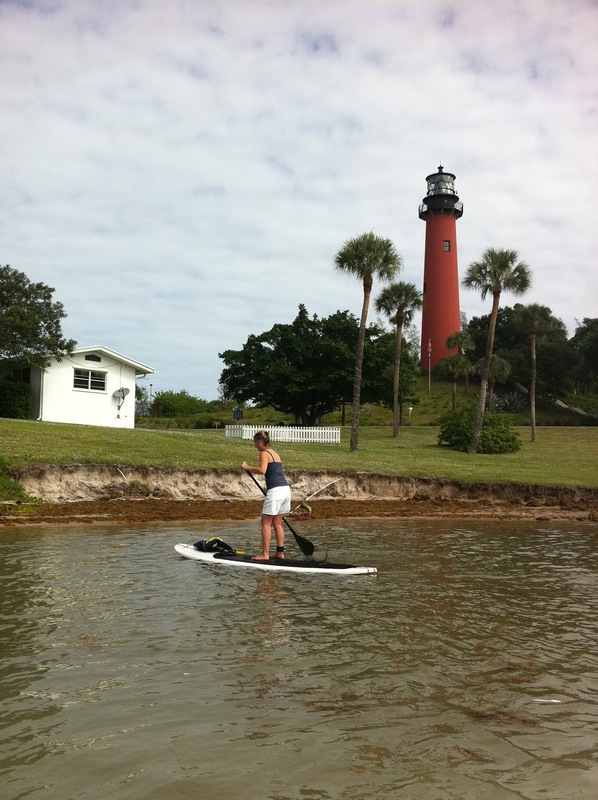 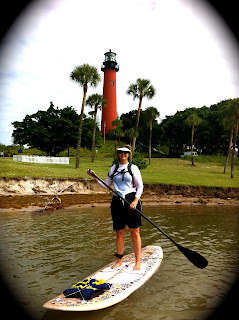 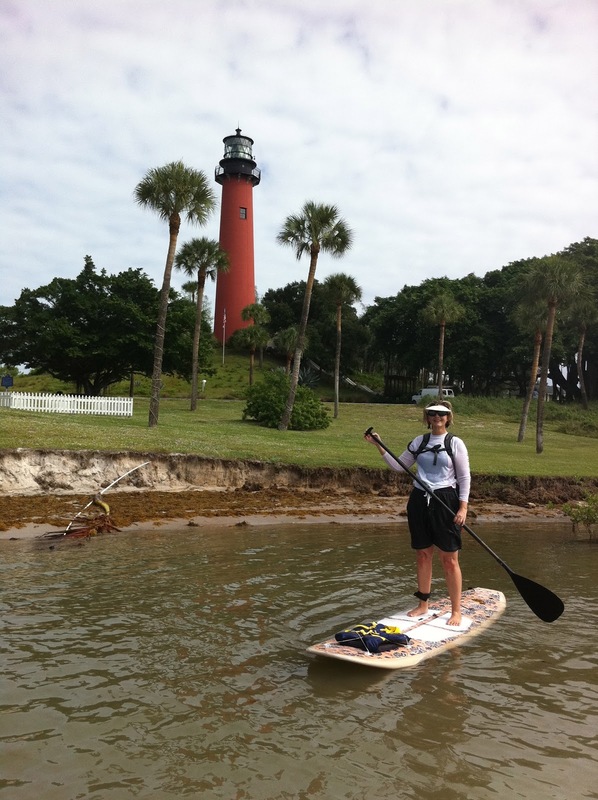 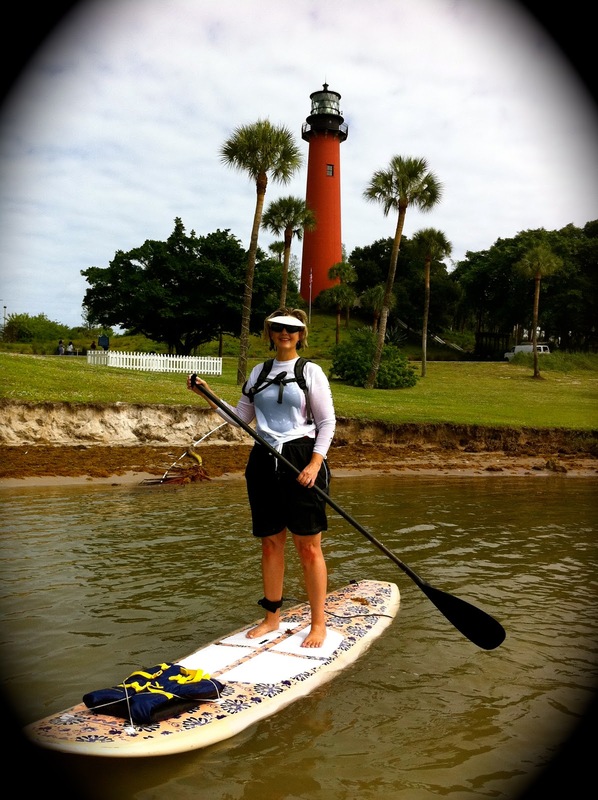 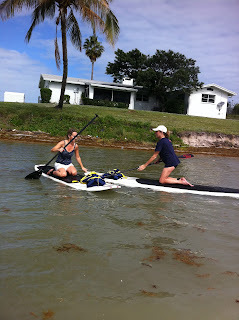 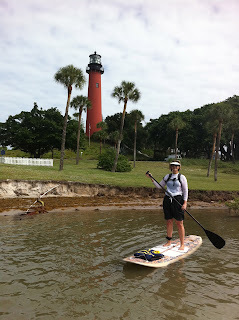 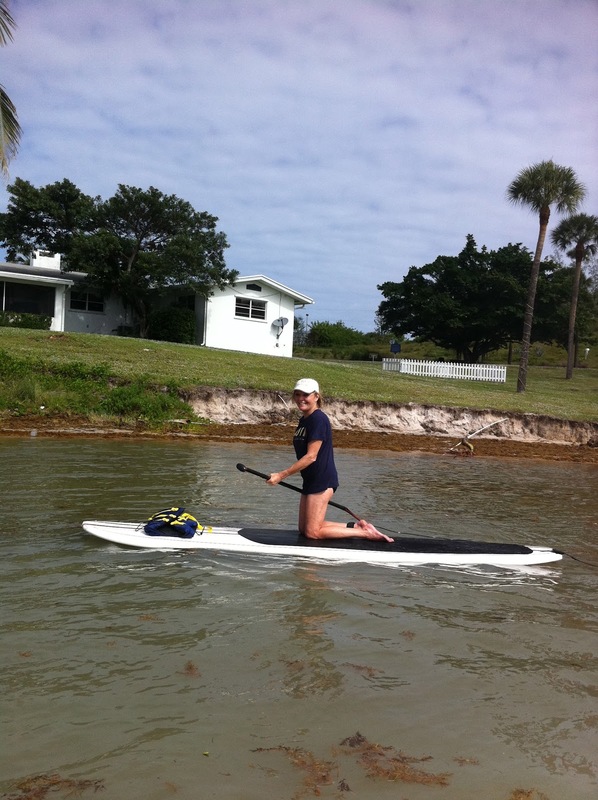 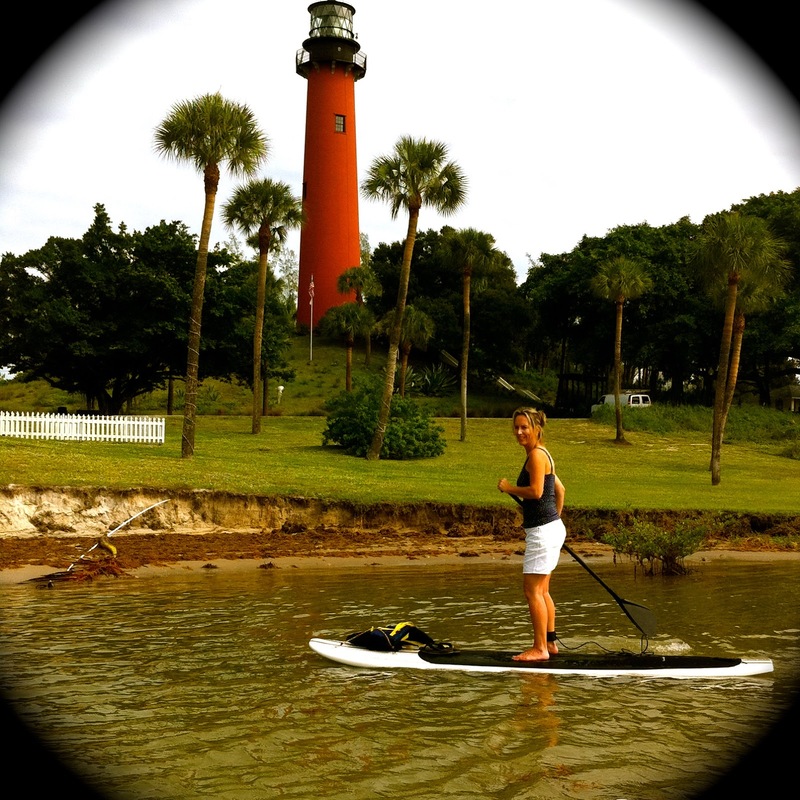 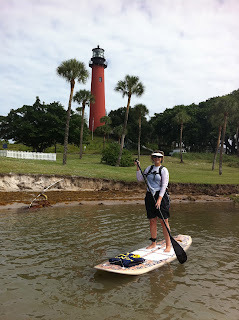 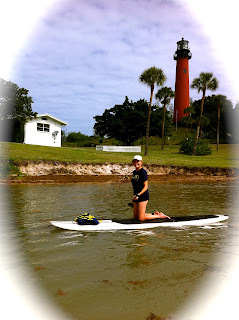 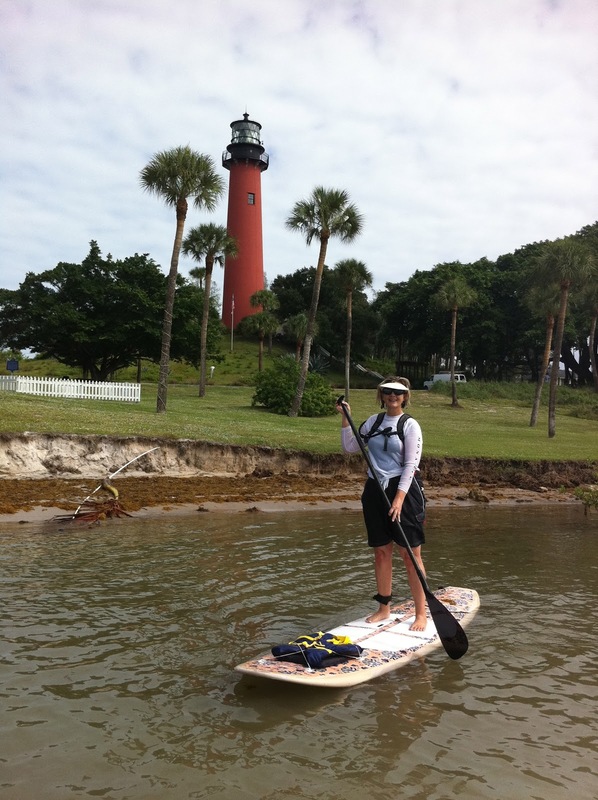 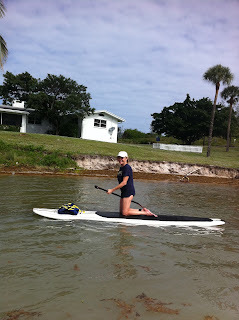 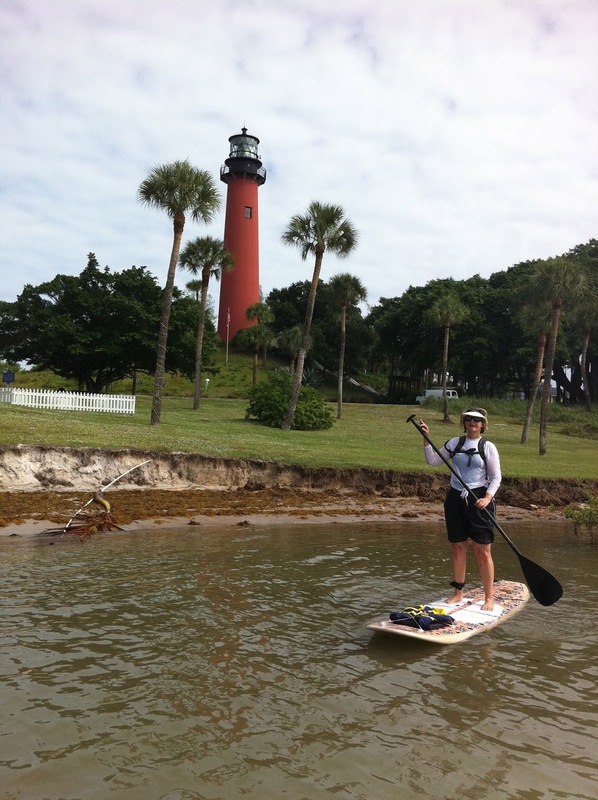 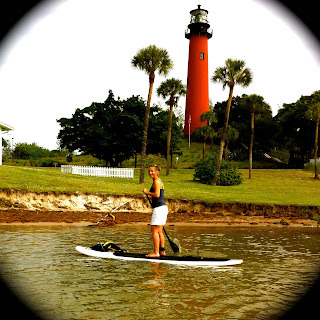 If you want to master stand up paddle boarding you must be willing to have a few spills! Yes, we made it to the Light house and lots of fun memories with girlfriends were made. Bring your friends and Paddleboard Excursions will make sure you have some custom made memories also.